Nestled in the Northern section of Pennsylvania’s Appalachian Mountains, the small town of Wellsboro offers historic charm surrounded by ample outdoor adventure opportunities. In the early 20th century, the town was a regional waypoint for those heading to Chicago and even boasted a direct bus from the Waldorf Astoria leading to a litany of acclaimed guests. Though its posh years may have passed, Wellsboro now hosts a warmth that radiates from the gaslit main street to the welcoming locals. 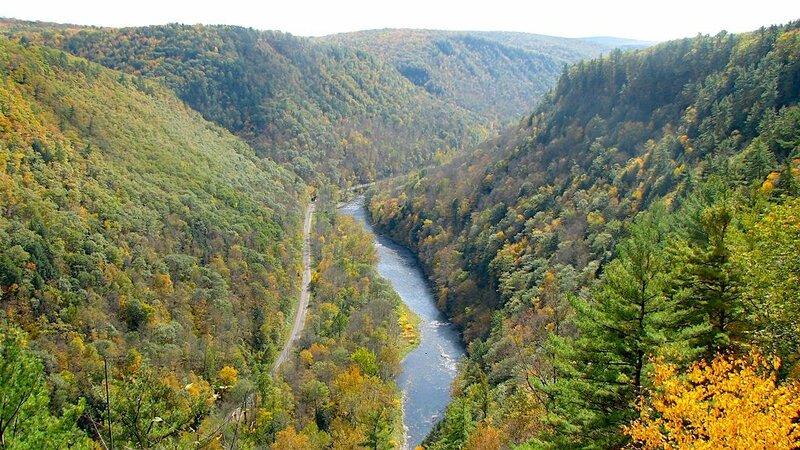 Enjoy stunning views by biking through the “Grand Canyon of Pennsylvania” on the relaxing and mostly flat Pine Creek Trail. 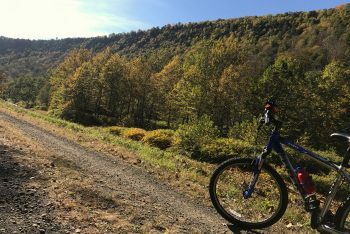 Pedal down this former rail bed surrounded by trees overflowing with crisp autumn leaves and you’ll glimpse the occasional wildlife sighting, including bald eagles. The trail is well maintained and provides wonderful river views, as well as outposts along the way where you can buy coffee and ice cream to keep you fueled. Bring your own bike or rent from Pine Creek Outfitters who also offer shuttle pick-up along the trails and transportation from downtown hotels. Discover the hidden gems of Wellsboro through specialty food options sprinkled throughout the area. Start off in the center of town at The Main Street Olive Oil Co. where you can sample eclectic flavors from blood orange to the seasonal pumpkin balsamic vinaigrette. If you’re lucky enough to be visiting in the fall, head over to the historic Mansfield Cider Mill, which pumps out delicious and smooth unpasteurized cider exclusively during apple season. Satisfy your sweet tooth at Highland Chocolates where you’ll find incredible tastes from classic truffles to their new Tree Stump creation (peanut butter, caramel, pretzels, and dark chocolate). Visitors are welcome to take a tour of the back room where all of the chocolate is produced and packaged. Highland Chocolates is a non-profit committed to employing those with special needs. 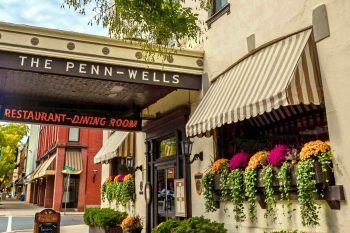 The Penn Wells Hotel is a unique vestige of Wellsboro’s 20th century fame, with historic photos of illustrious visitors from Joan Crawford to Groucho Marx lining the walls and mahogany doors that open to a regal lobby. The hotel’s creaky floors, crackling fireplace and classy vibrations add a charm that keeps the establishment from feeling stuffy. Stroll to the town’s central plaza town to find the statue of Wynken, Blynken and Nod, the pubescent protagonists of the Dutch Lullaby by poet Eugene Field. The original poem sits on a plaque in front of the statue, one of only two ever created to commemorate the poem. For a more modern foray into culture, head over the Pop’s Culture Shoppe, a small, high energy store that packs hundreds of games into its small corner storefront. Stop in to peruse everything from puzzles to board games to trading cards or come ready to play in their backroom, which has sample games for all to try and enjoy. For over 30 years, Wellsboro has been home to the annual “Dickens of a Christmas Celebration” where participants dress in Victorian costume and the downtown is cordoned off to cars and transformed into a 19th century market. Martz Trailways even runs a direct bus there from Scranton and hotels in the area are often sold out months in advance. Take the Martz Trailways to Scranton and rent a hybrid car at the Hertz down the street from the bus depot. Alternatively, check out our guide to renting hybrid cars in Manhattan. 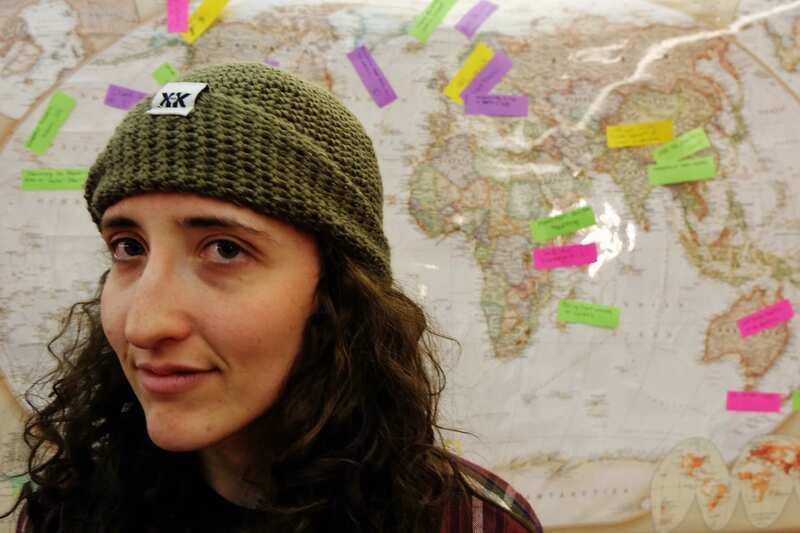 For even more information, directions, and tips, check out the Tioga County Visitors Bureau website. 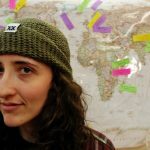 What a great article about my hometown. I spend a lot of time on the Pine Creek Rail Trail which is first class. It was just selected as the Rails To Trails Conservancy’s Trail of the Month. Check out the Guidebook to the Trail: “The Pine Creek Rail Trail Guidebook” and come ride. ? Hey, folks, love the photo on the Facebook page, but it’s incorrect. The train going around the mountain wasn’t taken here in Wellsboro, nor anywhere within 2000 miles. It was taken in the Pacific Northwest. The mountains are too craggy for here, and there are more pine and fir trees in the photo than are here. Thanks Linda! We loved riding the Rail Trail and can’t wait to return. Wellsboro: A historic town hidden in the mountains of Pennsylvania, and home of The Totally Ninja Raccoons?